Offering you a complete choice of products which include potassium nitrate with sodium monofluorophosphate toothpaste and chlorhexidine gluconate mouthwash. 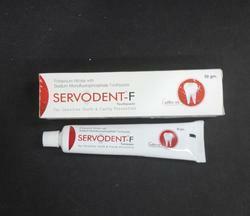 We are the leading manufacturer and supllier of Potassium Nitrate with Sodium Monofluorophosphate Toothpaste. Looking for Oral Healthcare ?